Can a subtenant sue a landlord? 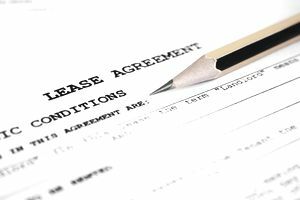 If the master lease agreement did not grant the tenant the right to sublease to you in the first place, then, no, the subtenant may not sue his/her landlord. You may, however, be able to sue the person you subleased from if they lied to you about their rights to sublet to you in the first place. If you have a dispute with your landlord -- whether it is on a lease or sublease, and you cannot work things out on your own, contact an attorney who has experience in dealing with commercial contract disputes. Before you sublease from anyone, be sure that you see the master lease. Many landlords prohibit subleasing. If you sign a sublease with a tenant who does not have the right to sublease, you not only have few legal rights but you may even get evicted if the landlord finds out. State courts have rendered varying decisions on cases where subtenants sued landlords. Because this area of law is still taking shape, it is best to consult with an attorney in your own state. However, in general, the terms in the master lease play an important role in determining if a subtenant can sue a landlord. The master lease may limit your rights to sue even if your sublease says you can sue the tenant listed in the master lease. For example, it is fairly common for leases to contain arbitration or mediation clauses. This means you agree that if there is a dispute between you and the landlord you will not head off to court. This is usually a good thing for both subtenant and landlord as long as it does not state that you totally forfeit your rights to sue if an agreement cannot be reached. These clauses should name a specific mediation or arbitration company - not an individual. The arbitrator should be neutral- not someone affiliated with the landlord or their representative. It is important to understand that if your landlord or the tenant you sublease from breaches the lease you generally cannot sue for tort damages (i.e., what laypeople commonly refer to as "pain and suffering.") Only in the case of certain types of conduct or "bad faith" is there a possibility of suing for tort damages. Suing anyone is rarely profitable so never sign a lease with the idea that if there is trouble, you can just take a bad landlord to court and win. It is always better to sign an agreement you understand and are comfortable with and only with a landlord you feel you can trust.